You can manage different elements of your profile, including your year level, via the 'Account Details' link from the right hand side of your logged in account homepage. 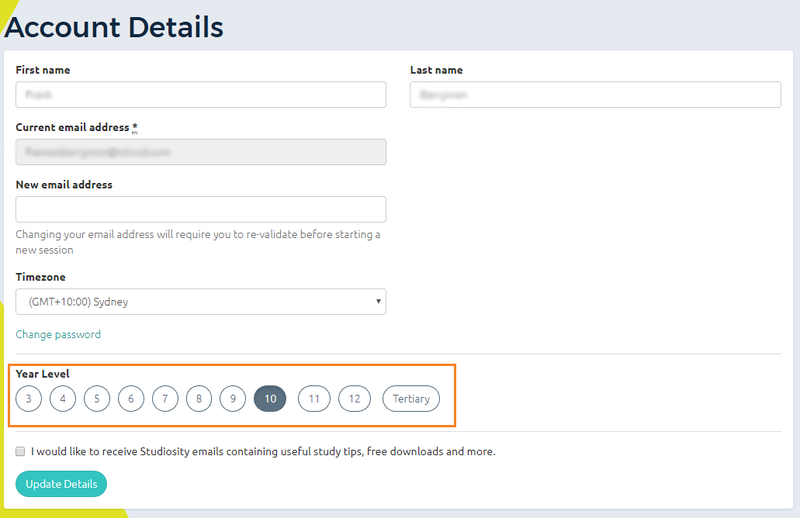 Year level information is used to help us understand the expected level of help you may need in a particular subject, and we also use it to serve appropriate quiz content if you have access to our quizzes and practice tests. To change your year level, simply select the correct button in the 'Year Level' area of your account, then click on 'Update Details'. You can change your year level at any time.